Eurovision Unește România! Tonight Romania decided for Eurovision Song Contest 2018 in the show Selecţia Naţională: The Humans won with the song "Goodbye"
Tonight the Romanian broadcaster TVR held the final of Selecţia Naţională 2018 live from Bucharest. 15 songs competed for the ticket to Eurovision Song Contest 2018, and the public televoters decided: The five-person band The Humans won with the song Goodbye. Goodbye is written by band members Alexandru Matei, Alin Neagoe and Cristina Caramarcu. The Humans is a Romanian funk-pop-rock band from Bucharest. 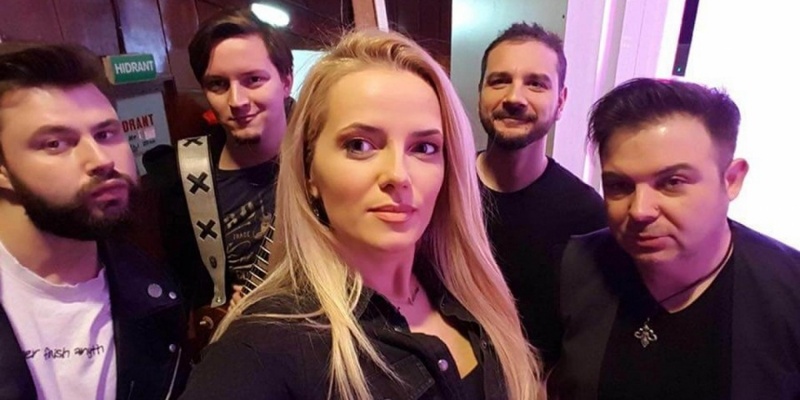 The group consists of vocalist Cristina Caramarcu, guitarist Alexandru Cismaru, keyboardist Alexandru Matei, bassist Alin Neagoe, and drummer Adi Tetrade. Each of the five musicians in the band are well experienced on the Romanian music scene, whether it's experience from live performances, in concert venues or in some of the largest TV shows in Romania. "We Believe in Humanity" – This is the motto under which the band will manifest its artistic spirit. The whole range of human emotions, the high end of the values gathered from the life experience of the five musicians. Since the introductions of semi-finals in 2004, Romania has qualified to the Grand Final 13 out of 13 times!